An Iraqi-born leisure centre worker has been awarded more than £100,000 after winning a discrimination case against his employers in Denbighshire. The award includes £53,000 for loss of earnings over the next five years for Wafir Al-Jumard, 59, of Connah's Quay. 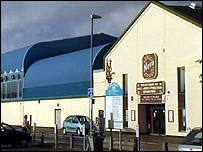 Clwyd Leisure plans to appeal against the employment tribunal decision. Mr Al-Jumard complained to his employers when two white men, who refused to share a whirlpool bath with two Asian men, were given a refund. The tribunal in Abergele declared that the manner in which the company bowed to the wishes of the two men revealed its attitude to such issues. Earlier tribunal chairman Sheila Warren said: "The way that was dealt with was indirect discrimination and showed the attitude of the respondent company to issues of race." Mr Al-Jumard's claims of racial and disability discrimination were upheld. The tribunal also found Mr Al-Jumard was unfairly sacked after 34 years working in the Nova leisure centre, Prestatyn and others in the Rhyl area. The panel also found that he had been victimised by being covertly filmed by two private detectives engaged by the company. The company in a statement repeated its claim that Mr Al-Jumard had shown "aggressive and inappropriate behaviour towards staff". It said there had been incidents between 1996 and 2005 andthat Mr Al-Jumard was "dismissed as a consequence of his own actions". The statement added that the "issue of race has never been a factor and he was also afforded every possible assistance in regard of his disability". 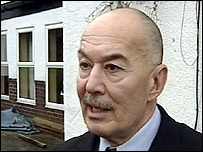 After the hearing, Mr Al-Jumard said: "I am very, very pleased because I have been totally vindicated. "I have been totally proven that what I claimed about discrimination, victimisation and the rest of it was proven in a court of law to be absolutely true and that, to me, matters a lot more than the amount of compensation they awarded." He was represented by the Race Equality Council, who submitted a schedule of loss of earnings, aggravated damages for racial and disability discrimination, injury to feelings and holiday pay. "The obvious message is not to discriminate"